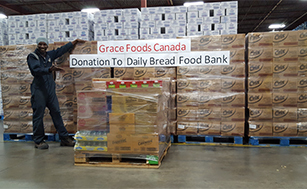 Grace Foods Canada Inc. believes in giving back and helping to build the communities where we live and operate our business. Our contributions provide assistance in the areas of hunger alleviation, health education and community outreach. As a group, we are committed to doing our part to enrich our communities. Grace Foods Canada is passionate about hunger alleviation. 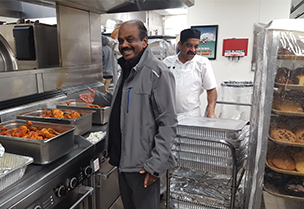 On Sunday, December 3, 2017, we donated a dinner complete with rice, chicken, vegetables, salad, dinner rolls, ...desserts and of course some delicious Tropical Rhythms and Grace coconut water to feed 600 people at the Good Shepherd Ministries. Grace Foods Canada aims to limit the waste of product by donating short dated product so that it can go to those in need ...Closethrough our network of food banks and soup kitchens. In keeping with our hunger alleviation efforts, we also do an annual bulk donation to help keep food banks well stocked. Last year’s donation went to the Daily Bread Food Bank. Our team certainly knows the joy of giving at Christmas. 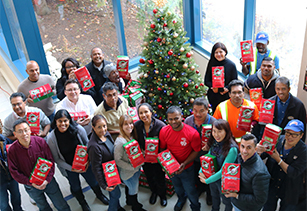 It has become an annual tradition for our GKO staff to participate in “Operation Christmas Child”, a Christmas gift-giving initiative for children ...in need. This past year we provided 75 boxes! Our headquarters in Jamaica offers a summer internship program for undergraduate and graduate students of Jamaican descent living in Canada, the U.S. and UK. 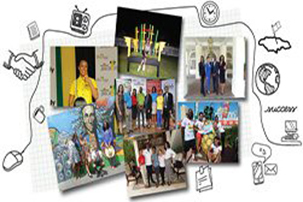 It’s a cultural and professional internship geared at highlighting all ...aspects of Jamaican life for a well-rounded Jamaican experience while furthering the career goals of the selected candidates. Sounds like something you’d be interested in? Read more about it and apply here! 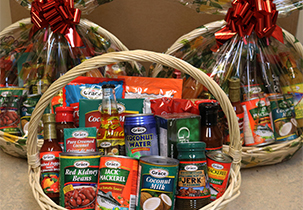 Grace Foods Canada supports a wide range of over 150 fundraisers and charities through our product sponsorship and Grace gift baskets ......that are the perfect addition to a silent auction or as a door prize. 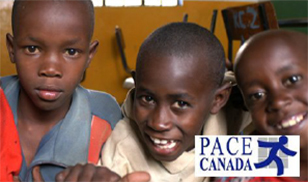 GraceKennedy has been a long time supporter of P.A.C.E (Canada) – an organization focused in early childhood education. Our work together has been most fruitful and rewarding. Mary Ann Chambers, the president at P.A.C.E (Canada)... sent us a warm thank you that we would like to share with our community.